In 2010, while my children were young and I was trying to find stories to teach them about seeing the world outside of their own, so I decided to write a simple children’s book. 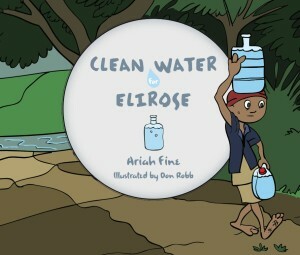 Clean Water for Elirose is a short, picture book, geared to elementary-age kids. I had the great benefit of friends supporting me through a successful Kickstarter campaign to mass produce the book, so that I could sell them at bulk prices to schools and water organizations. It’s been a wonderful journey from school visits to interviews, bookstores to well building campaigns. You helped bring clean water to Cambodia!